Everything You Need to Know About The Sherp’s #BUDXSUPERSONIC Experience! REVIEW: Sula Fest 2019 Proves It’s Not Just The Destination For Wine, But For Great Festival Experiences Too! INTERVIEW: 5-Minute Talk With Sander Van Doorn Before He White-Washed Sensation 2018, Hyderabad! 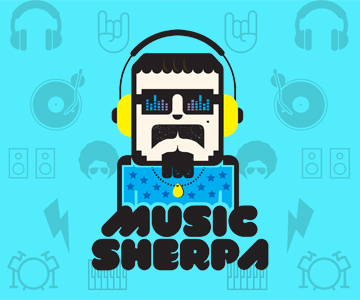 The Sherp’s Illustrated Guide To Music Festivals This Summer! 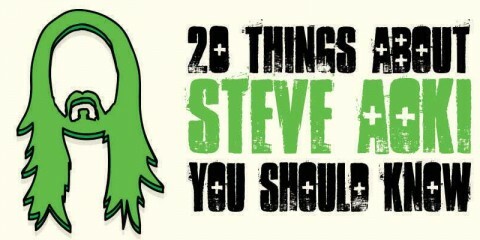 20 Things About Steve Aoki You Wish You Had Known Before! BREAKING: Magnetic Fields Festival Reveals Phase 2 Lineup, Secret Night Parties & More! On December 15-17, Magnetic Fields Festival drops its fifth edition and it’s one that you just cannot miss! Magnetic Fields Festival is widely recognized as the most top-notch arts and music festival, that has been roping in attendees from all over the world and entertaining them since their debut in 2013. Now gearing up for their landmark fifth edition, Magnetic Fields Festival has us hooked with the anticipation for a truly magnetic experience in the enchanting venue of the gorgeous Alsisar Mahal, in Rajasthan. Get your tickets here, if you haven’t bought it already. With an already stellar Phase 1 reveal of some of the industry’s top artists, Magnetic Fields Festival has more in store as they reveal the next wave of their artists in the Phase 2 announcement of their lineup. The Bira 91 South Stage that serves as the day-stage, had Four Tet, Machinedrum, TEEBS, Indian act – The Ska Vengers, Sid Vashi, Ape Echoes, Different Trains 1947, and Aerate Sound, who will also be opening the festival on Friday evening. Added to this roster of artists performing on the Day Stage are the likes of a three-piece Thai funk, surf soul act Khruangbin from Texas, Sun Glitters, Say Yes Dog and Delhi-based Komorebi. Making his Magnetic Fields return after his performance at the 2015 edition will be Kumail who will be accompanied by a live band. The Bira 91 South Stage is a brand new addition to the festival this year and is guaranteed to rope in a lot of dance music enthusiasts. A special addition this year will also be the Bira 91 FreeFlow Garden, that is essentially a space where hip-hop meets a beer garden with barbeque. The music curation here will be by the likes of Raji Rags, DJ Ishaani, MadStarbase and DJ MoCity. The Red Bull Music Academy North Stage that features the most-acclaimed and accomplished artists across various genres, and already has the likes of Ben UFO, Jayda G, Special Request and Stalvart John, will have more artists joining this incredible lineup. Daphni, who makes his India debut at the festival will join Sassy J, Willow, and Sindhi Curry, who will be opening the night on Saturday. Friday afternoon will witness a cascading rise in the musical proceedings as Boxout.fm Sound System that comprises of DJ MoCity, Madstarbase, Rohan Kale, Abhi Meer and Dualist Inquiry, will welcome the attendees at the Desert Disco Oasis stage. Saturday afternoon will be kickstarted by Berlin-based French DJ and producer, She’s Drunk. As is the Magnetic Fields tradition, the final day, Sunday, will be an afternoon where reggae and dub take center-stage for four non-stop hours, courtesy of Delhi Sultanate and the BFR Soundsystem. Apart from the main stage attractions, fans can rejoice and discover new music at the Saavn Sundowners and the Secret After Parties on each night. The Saavn Sundowners will take place on a special stage erected on a part of the palace rooftop and will feature live electronica acts such as _RHL, Sandunes, Disco Puppet and Your Chin, who will each play a two-hour set. The Secret After Parties are guaranteed to be a unmissable experience. On Friday night, London’s finest, Josey Rebelle, resident of Rinse FM, will deliver the freshest in house, techno, disco and more. The Saturday night party that is curated by Resident Advisor, will see Arjun Vagale, one of the finest off the Indian dance music scene, cater to the audience. To end the night, Belgrade’s own Tijana T, will step in. The highly awaited, Sunday night Secret Party will see a special collaboration between the London-based promoter, The Hydra and Magnetic Fields. The final after-party will be signed off by Co-Founder Dolan Bergin, along with two very special and secret guests. Find out more details on the Facebook page here, and the event page here. Stay tuned to The Sherp for more updates. Techno Lovers, Vh1 Supersonic’s BUDXAWAKENINGS Stage Awaits You! Everything You Need to Know About The Sherp's #BUDXSUPERSONIC Experience! Techno Lovers, Vh1 Supersonic's BUDXAWAKENINGS Stage Awaits You! 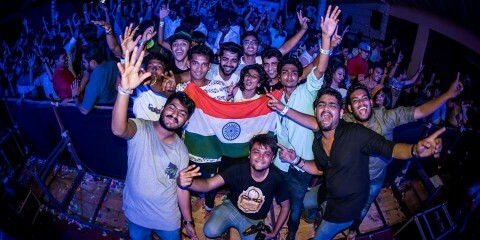 REVIEW: Sula Fest 2019 Proves It's Not Just The Destination For Wine, But For Great Festival Experiences Too! Deadmau5 Mocks Hardwell’s New Fragrance. Sells His Toilet Water For $50.